IBS Intelligence - Blog: Blockchain to replace Swift? It is interesting to compare the agendas of current annual events with those of one year earlier. For instance, in April 2014, Swift’s London Business Forum had no mention of bitcoin or blockchain. Roll forward one year and it was standing room only for its ‘What is the Future of Money?’ session with speakers from an array of companies that probably no one had heard of twelve months earlier (in part because some of them weren’t around then): Coinstructors, NXT 2 Pay, Innovate Finance, COLU and Epiphyte. It is unlikely there has ever been a speaker on a Swift platform as spiky and tattooed as Coinstructors’ Lee Gibson Grant. Whether or not he’ll be asked back is a moot point, having kicked off with the suggestion that blockchain could replace Swift. 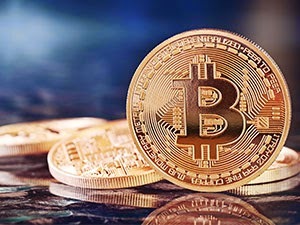 It is clear that the technology that underpins bitcoin is starting to generate a lot of interest from inside and outside the financial services sector. For banks, it is either a major threat or a major opportunity, no one seems sure which at present. As Epiphyte’s co-founder and general counsel, Gabrielle Patrick, pointed out, an industry where, in the US at least, 1970s infrastructure means it is still quicker to move money by truck than electronically, is clearly (deservedly) under threat. It seems all large banks, officially or unofficially, are rushing to evaluate blockchain, with its enticing vision of being able to securely move value in real-time. One scenario is that services will start to be layered on top of the technology, which would be similar to the evolution of the internet, and that there will be ‘closed loop’ versions. Indeed, NXT 2 Pay has seemingly taken the smart move of setting up as a partner to facilitate anyone wanting to pilot on blockchain. Such layering could see Swift and others harnessing the technology rather than being disintermediated by it. When considering the potential applications, it is easy to see why the technology has captured the imagination. It could be used for aid payments, tax payments, international remittances, providing access to documents such as property ledgers, voting, and linking to mobile payment mechanisms such as M-Pesa. The auditability means flows are much more traceable than cash and it misses out middlemen (a big problem with aid, for instance), so it could facilitate compliance and countering money laundering. There was plenty of disagreement on the panel but consensus that bitcoin is a distraction. Whether it is the equivalent of a Ponzi Scheme, as suggested by Gibson Grant, or just too volatile to be of any use, was debated, so too the relevance or otherwise of Stellar and Ripple, but there is no doubt that blockchain is felt by many to be the part of this that has truly revolutionary potential. There is no doubt that many events in the next few years will now have this topic firmly on their agendas.